DO YOU WONDER WHY OTHER PEOPLE CAN BE CONFIDENT AND GROW THEIR BUSINESS WHILE ALL YOU FEEL IS FEAR? 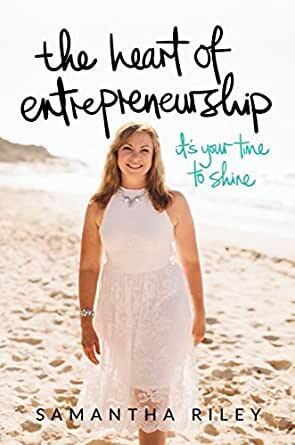 The Heart of Entrepreneurship is based on Samantha Riley’s experiences and insights of life as a business owner and entrepreneur for over twenty years. Samantha’s message is you CAN do it. You do have a message worth sharing, and by embracing your vulnerable and authentic self, you have all the courage you need within you to stand up and change the world.